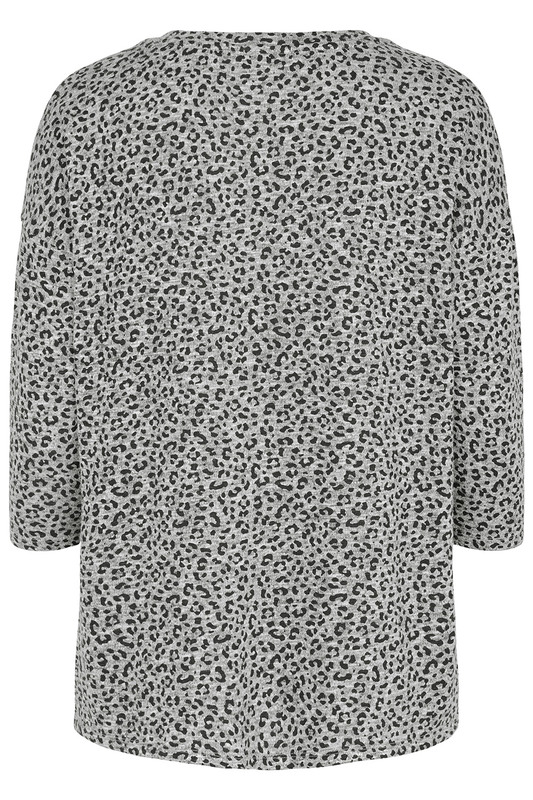 Take a walk on fashion's wild side with this gorgeous tunic. 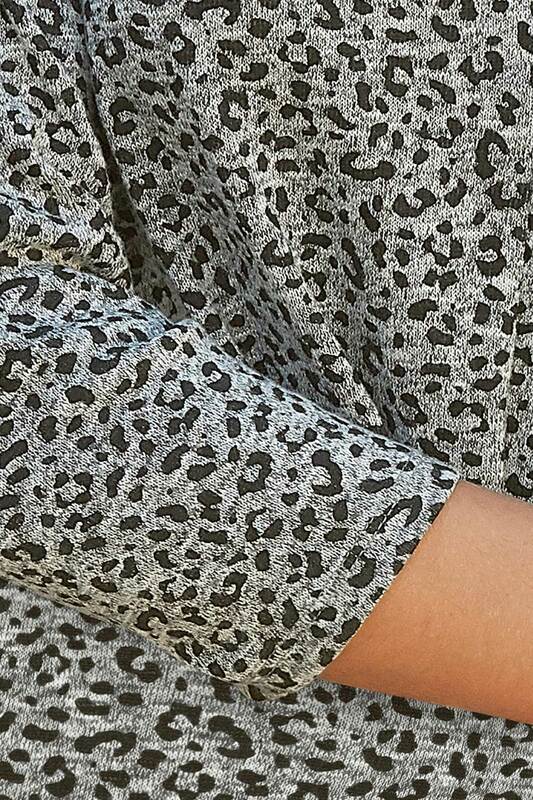 It features a leopard print on a versatile grey background and is just the thing for spicing up your weekend casuals or workwear wardrobe. 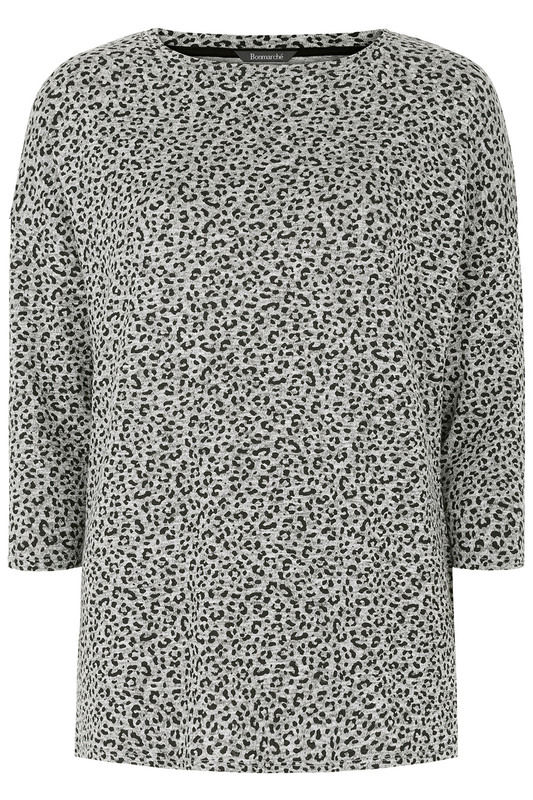 Its round neck and 3/4 sleeves make it comfortable and easy to wear, while the soft, textured feel means it is cosy.